We are proud to partner with quality organizations globally to better serve our customers. We are aggressively expanding our presence with software companies, system integrators and business consultants worldwide to deliver the most innovative process improvement and quality management software solutions on the market today. HGI can augment your product offerings with a comprehensive suite of management seminars, consulting engagements, technology solutions and training through the Harrington Institute and Harrington Academy. HGI has multiple partner levels based on your commitment to product knowledge, implementation, training and customer technical support. In each case, our commission structure is one of the best available to potential resellers on the market today. HGI provides the sales tools, technical training, marketing programs, literature, customer presentations and personalized assistance to build business opportunities. Your local market expertise and knowledge, when combined with the power of innovative products, will accelerate your business growth, drive additional sales revenues and increase profit margins. The Harrington Group International is committed to your success. We have designed our Partner Program to allow your sales team to begin selling HGI products quickly and to develop the knowledge and expertise needed to have long term success selling quality management solutions. The Sales Agent provides referrals, qualified prospect leads and local contact with the potential client. No dedicated sales or technical support staff is needed. The HGI Account Manager will coordinate the entire sales processes with the Sales Agent. We provide an aggressive commission structure on leads converted to sales. If you’re interested in learning more about our Partner Program please send an inquiry email to: partners@harringtongroup.com. The Facilitator will solicit and qualify potential clients, conduct needs analysis, perform an initial presentation, and work in conjunction with the HGI partner group for product demonstration, proposal, closure, training and implementation. As a result, facilitator partners have completed certified HGI Sales training and enjoy higher discount rates on HGI software. Strategic Partners provide Sales of and Services for HGI products, but are also certified to provide both basic and higher levels of Support. 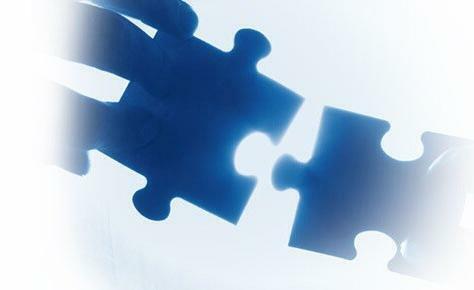 Strategic partners are typically exclusive HGI solution providers, and serve as an extension of the HGI brand. This program partner will maximize revenue sharing on client sales.